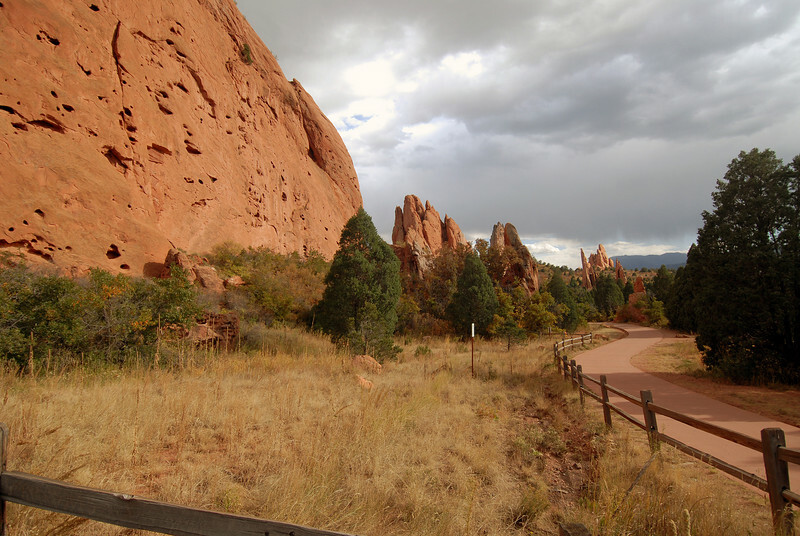 No trip to Colorado Springs would be complete without visiting Garden of the Gods. There are many photos just waiting to be captured. We stopped by one afternoon but it started to rain so we left early. We did get some nice shots with the clouds adding a nice touch to the images. The next morning was a beautiful cloudless day so we stopped by again on our way out of town and got some nice pictures under a beautiful blue sky. A nice view to the south.